Thank you for clicking on the introduction to the CIC Course of the Trusted Wealth Professionals website. 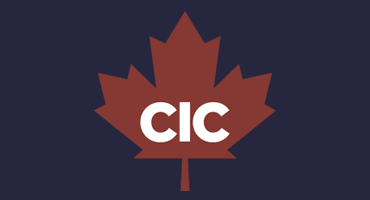 The CIC Course, the Canadian Investors’ Course, is an online, no-charge overview of the Investment Products, Investment Services and Investment Styles that Trusted Wealth Professionals can offer you. It is currently divided into 17 Sessions, each with their own Commentary. And there are PDFs of each Session, so you may print the Sessions(s), if you desire, and take notes on your hardcopy. 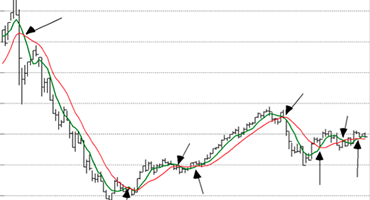 The Sessions are generally 10-20 charts in length, a few are almost 30 charts, and can be taken over and over again. There is no-charge to take the CIC Sessions, and please feel free to share the links with your family, friends and even your accountant. The CIC Course starts with Session 1 Income Investing — Short-Term, and covers Bonds, and ends with Session 17 Investor Psychology, that’s you and your emotions when investing. Sessions 8 & 9 that cover the Investment Industry and Investment Fees are proving to be quite popular. The 17 Sessions, as of May 2017, are identified further below in this text encapsulation. 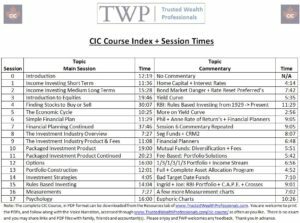 My own personal favourite is Session 15, Rules Based Investing, where the investment style Buy&Rule ® is overviewed, but feel free to click on any Session, and stop/start at your leisure. There’s also no test for any of the Sessions as well. So take the CIC course as often as you like, and if you need to reach out to me, please use contact information on the Contact page. You are also welcome to subscribe to the monthly Golden Swan newsletter where I will feature Gerry’s Crosses. And you are welcome to take the CIC course at your leisure, but if you would like to speak to a Trusted Wealth Professional in your area, just enter your POSTAL CODE in the LOCATOR and the contact details will be sent to you. Once again, thank you for your time today, and please remember to Rule Your Wealth. Note: Trusted Wealth Professionals is not a stock recommendation website per se and features no advertising (and no pop-ups either). 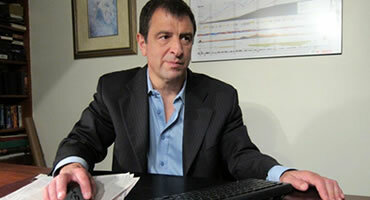 Trusted Wealth Professionals does not bind any investor with any investment decision(s). The Checklist below, with CIC Session Times&Notes, can be downloaded from #9 on the Resources Tab of this website. Trusted Wealth Professionals are fully licensed complete service wealth professionals, who can offer ALL the investment products, services and styles to their clients. Including practicing the investment style Buy and Rule ® for individual investors, families, and business owners. Rules-Based Investing (RBI) is an investment technique that preserves capital. Practicing RBI, an investor gains during Up markets, and minimizes downside risk during Down markets. RBI, also known as Buy and Rule ®, is Pension Style investing, perfect for Individual Pension Plans (IPPs). The Canadian Investors’ Course (CIC) educates investors on portfolio construction and the various instruments within a portfolio; ie. stocks, bonds, ETFs, etc … Investors are also educated about the various licensed professionals in Canada and how they earn their fees.